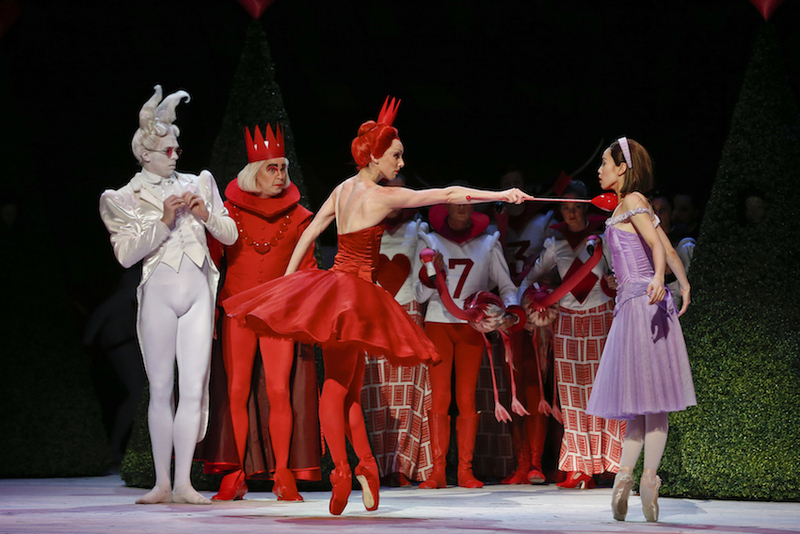 Premiering in 2011, Alice’s Adventures in Wonderland was the first full length new work at Royal Ballet in almost 20 years. Supported by the extraordinary designs of Bob Crowley, choreographer Christopher Wheeldon has crafted a grand and glamorous work that transcends the ballet stage to take its place as a significant theatrical work of broad appeal. When Alice tumbles down the rabbit hole, she is briefly portrayed by a doll-like puppet. This turns out to be a very good match, as “doll-like” is a perfectly apt description for Principal Artist Ako Kondo’s performance in the massive title role. Off stage for barely a few minutes, the dancer playing Alice must extend her usual range of dance to include puppetry and interaction with multimedia. Kondo makes the entire affair look a breeze, successfully replacing her usual crisp precision with a highly endearing sense of playfulness and spontaneity. Being rather heavy on narrative and incident, dance purists may lament the relative lack of full-blown dance scenes. 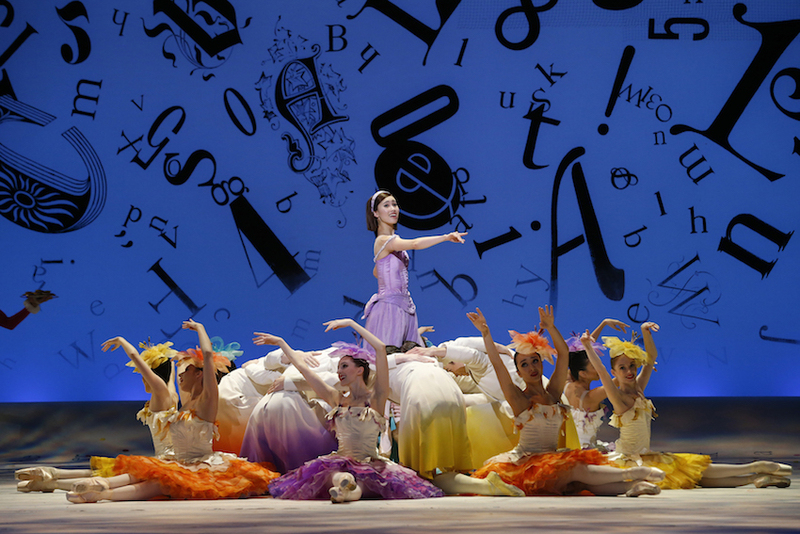 Wheeldon follows the text of Lewis Carroll’s treasured novel closely, saving moments of large-scale dance for when they are required fit the story. Much of act one sets the scene, with the proportion of dance increasing in acts two and three. Act two’s waltz of the flowers is a gorgeous homage to traditional story ballets, at once a tribute and also a nimble update. Crowley’s fluffy floral costumes enhance the dance with their air filled lightness and gorgeous spring colours. 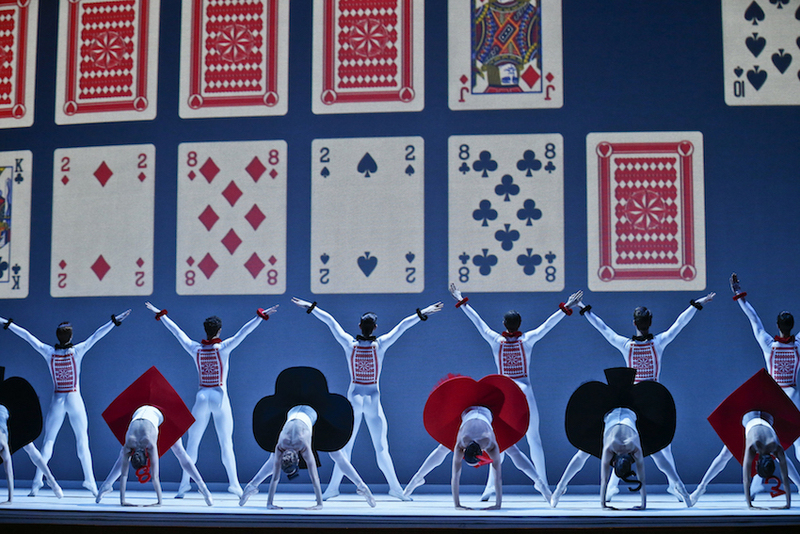 A later piece salutes the jerky precision of modern dance, with the corps de ballet portraying a deck of cards. Again, Crowley deals a winning hand, with the suits adorning the girls’ tutus only visible when they bend over forwards. 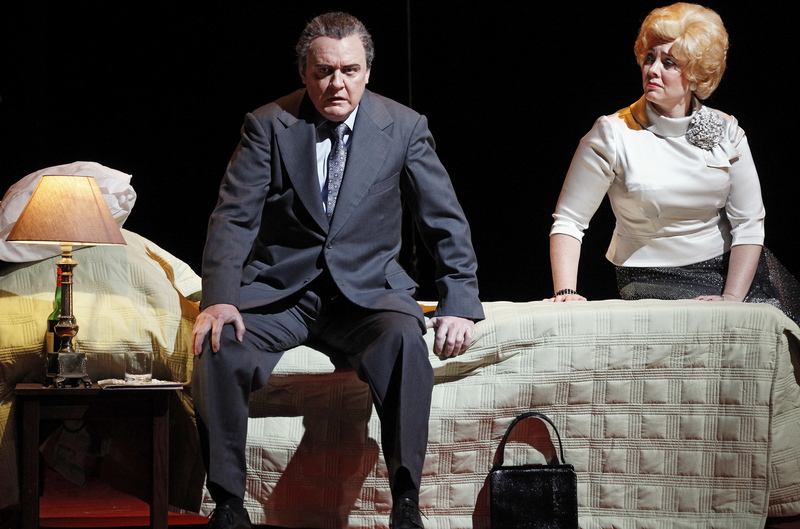 Every cent of the budget is visible on stage in this extraordinarily lavish production. Further highlights of Crowley’s design include, but are certainly not limited to, the Caterpillar’s silken body, the Queen of Hearts’ glossy red transports and the sepia-toned Victoriana prologue. Clever complementary costumes provide a Wizard of Oz-like link between the characters of the prologue and their Wonderland counterparts, illuminating the origins of Alice’s dream in deft strokes. The theatrical artistry continues with Toby Olié’s balletic puppetry design and Jon Driscoll and Gemma Carrington’s beautiful animated projections. In conjunction with Natasha Katz’s lush lighting, these aspects fluidly combine for a magical overall effect. Joby Talbot’s fresh, instantly accessible score is alternately festive, whimsical, romantic, exotic, mysterious and dramatic. In short, it is the exact aural embodiment of the rambunctious visual action. Maestro Nicolette Fraillon delivers a masterful performance of the score, with Orchestra Victoria bringing out the distinctly percussive character of the musical landscape with immense flair. 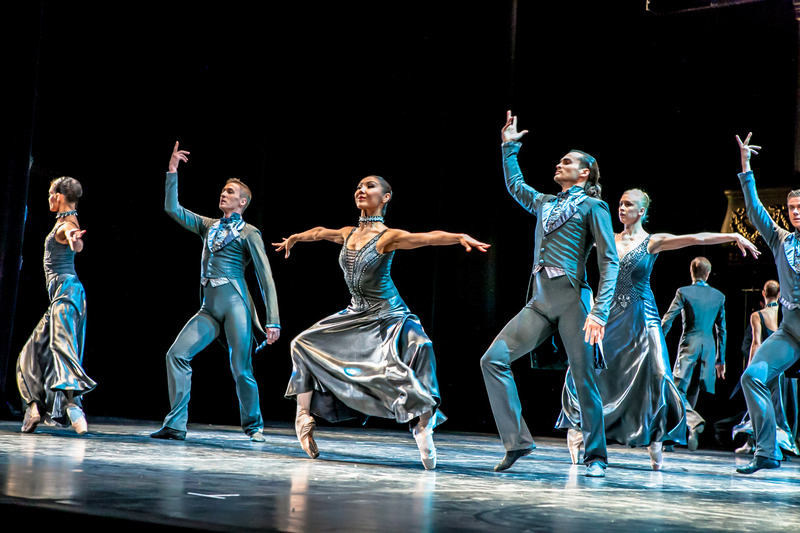 Wheeldon’s fertile choreographic imagination yields a host of roles that extend the performance styles of the dancers far beyond the usual lovelorn Royals of fairy tale ballets. Following the sharp comedic talents she displayed in Cinderella, Senior Artist Amy Harris is an inspired choice to play the malevolent Queen of Hearts, whose own scene-stealing nastiness trips her up repeatedly. Skewering Petipa and Tchaikovsky, the Queen’s tart adagio delights classical cognoscenti, stealing back the realm of physical parody from Les Ballets Trockadero de Monte Carlo. Playing completely against type, proven alpha male Guest Artist Steven Heathcote is a hoot as the Queen’s hen-pecked husband, who lives, literally, under his wife’s skirts. In a climax that nods to Carmen, the King makes swift use of a dagger and the Queen’s house of cards comes tumbling down. Well accustomed to playing noble Princes, Adam Bull illustrates the depth of his acting talent as he brings out all the quirks and twitches of the skittish White Rabbit. Fellow Principal Artist Kevin Jackson is similarly unrecognisable as the manic Mad Hatter, in which he displays a latent talent for tap dance, delivering crisp, expressive beats. One of Wheeldon’s key amendments of the novel is to have Alice old enough to have a romantic crush on the groundskeeper’s son, Jack. This character continues into Wonderland as The Knave of Hearts, who is similarly under threat of punishment for his fondness for jam tarts. Completing the line up of Principal Artists, Ty King-Wall brings a boyish charm to these dual roles. The Knave of Hearts is probably the blandest of the colourful characters, but his romantic attention from Alice provides a solid arc that is very neatly realised in the brief epilogue. 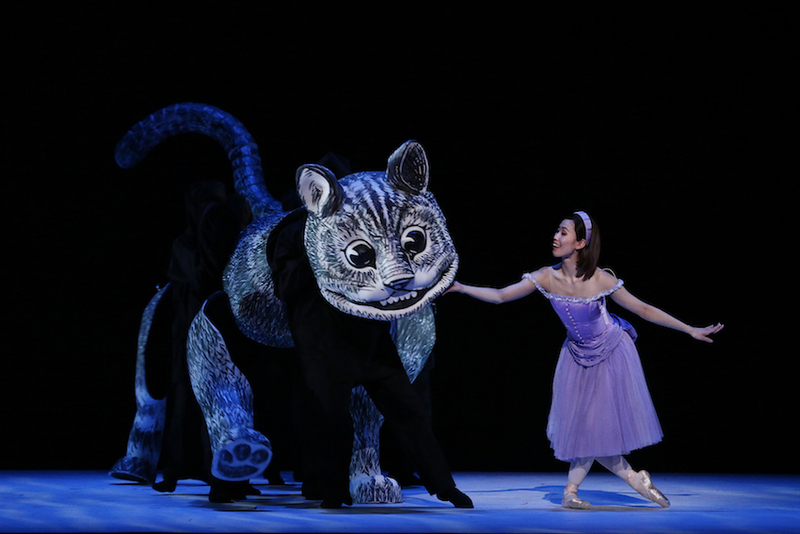 Kondo and King-Wall maintain an ongoing tension to their pas de deux, which are threaded throughout the ballet. While they are not given dance as grand as in a classical ballet, their work is characterful and both give highly polished performances. In a fully realised feat of physicality, Senior Artist Jarryd Madden captures the slinky sensuality of The Caterpillar. Soloist Ben Davis is quite hilarious as The Duchess, a camp yet crucial character who seems to have blown in from a traditional English pantomime. Special mention goes to Corps de ballet members Lucien Xu and Shaun Andrews, who neatly blend quirky physical characterisation with pristine dance in the featured roles of Fish and Frog. Melbourne theatregoers who are lucky enough to have secured tickets to Alice’s Adventures in Wonderland are in for a real treat. Remaining tickets are scarce, but might be available for those who do not want to miss out on this sumptuous stage spectacle. Alice’s Adventures in Wonderland plays at State Theatre, Arts Centre Melbourne until 30 September 2017. 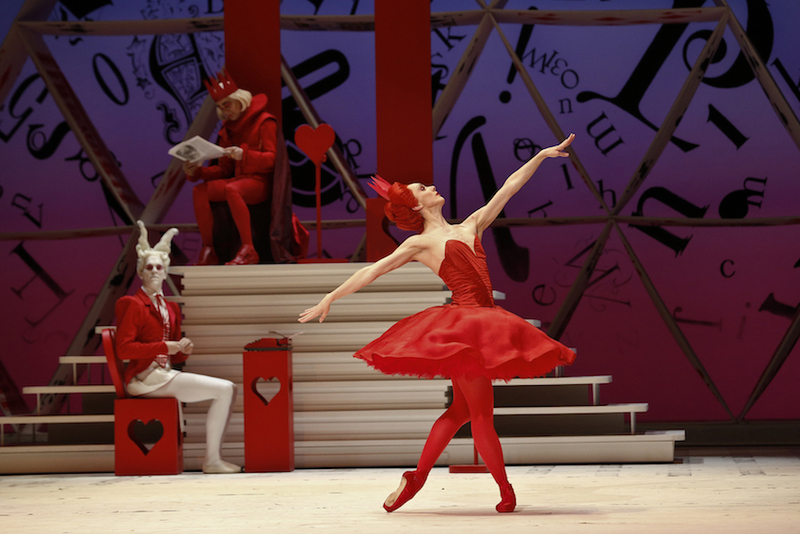 Royal Ballet principal Lauren Cuthbertson, upon whom Wheeldon created the role of Alice, performs the role in Melbourne on 13 and 15 September 2017. Alice’s Adventures in Wonderland plays at Capitol Theatre, Sydney 5 – 22 December 2017.